Are you headed out to an Easter egg hunt? 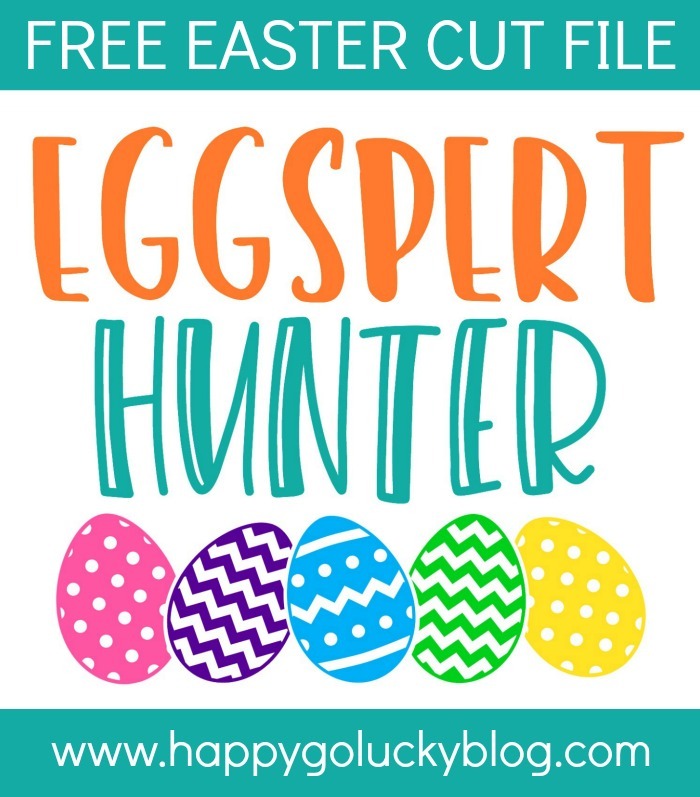 Then you need to download this Eggspert Hunter cut file. This adorable Easter Cut File is perfect for decorating t-shirts, Easter baskets and more for all your eggspert hunters! Are you planning on having an Easter egg hunt in your backyard or are you headed to an Easter egg hunt in your community? If so, then you are going to love this FREE cut file! 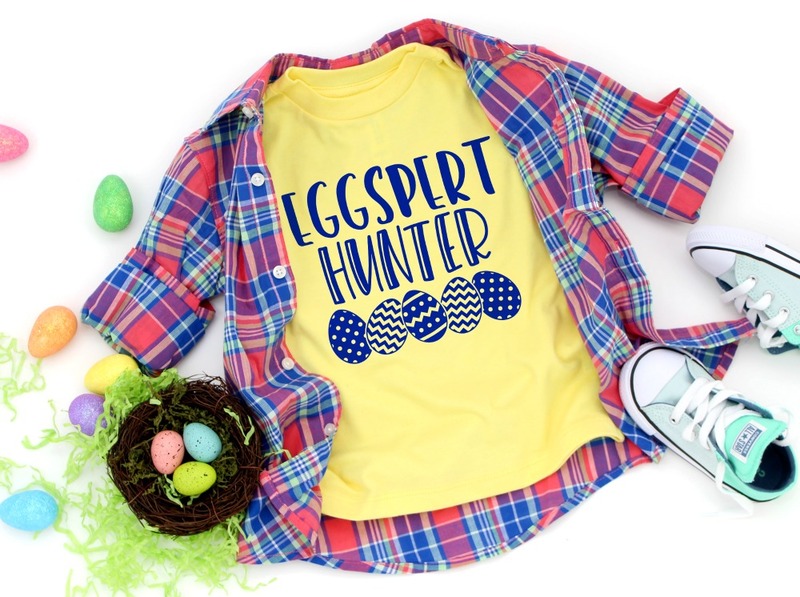 We all know you can’t celebrate Easter without an Easter egg hunt and every little hunter needs a festive shirt to wear while they’re hunting. And, let’s be honest, we need cute pictures of our eggspert hunters hunting for eggs. This cute cut file would also adorable on an Easter basket. Add your child’s name under the Easter eggs for a personalized basket because every great egg hunter needs their very own Easter basket. Isn’t this a fun cut file! I finished making shirts for my boys and now I need to make one for my niece who will be visiting during spring break. I’m just hoping that it warms up a little here in Virginia. It doesn’t even feel like spring yet. Looking for more Free Easter cut files and fun Easter Crafts? I’m having so much fun creating cut files and sharing them with everyone here on HGL. If you need a special cut file designed, please email me. I’d love to help come up with unique design. 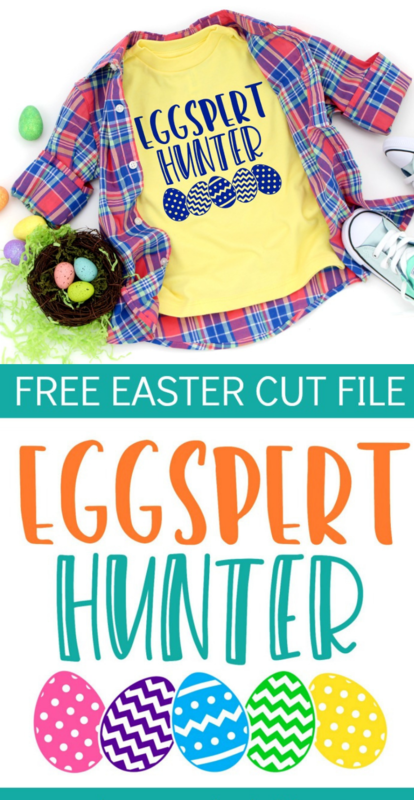 And, make sure you’ve downloaded your free cut file so all of your eggspert hunters are ready to hunt for Easter eggs with a new shirt or a one-of-a-kind Easter basket. 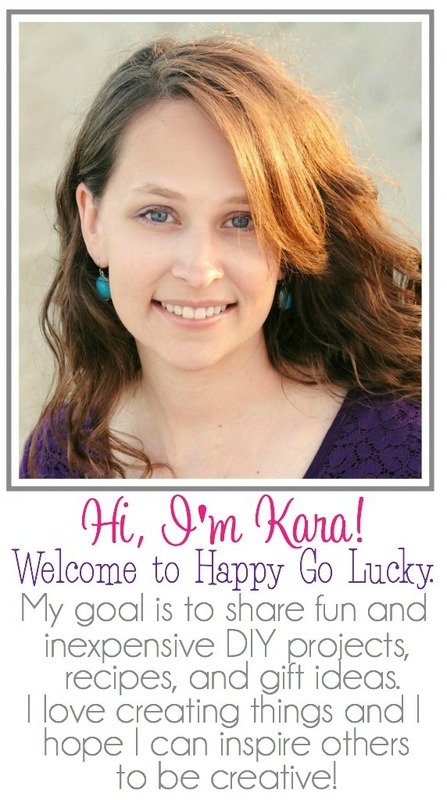 Don’t forget to tag me on Instagram – @happy_go_lucky_blog – if you make something with my cut files so I can see all of your fabulous projects.